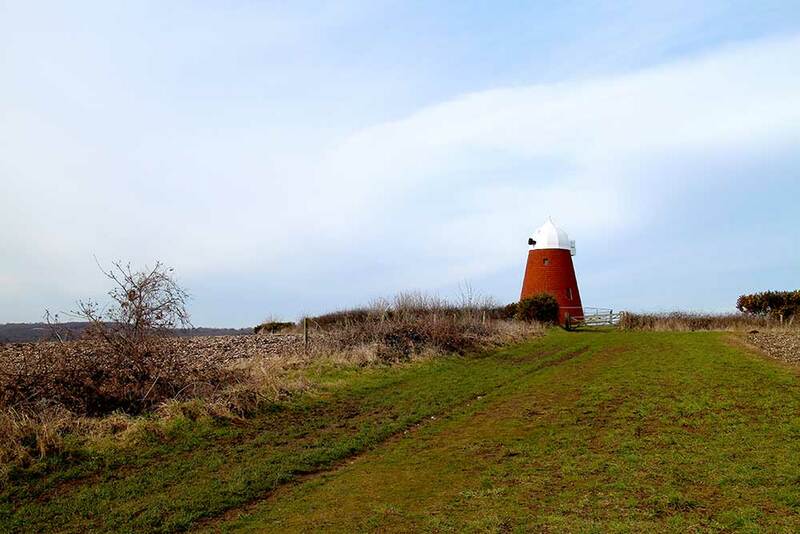 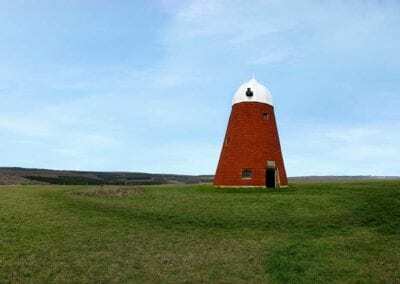 Halnaker Windmill is a disused Grade II listed windmill built in 1740. 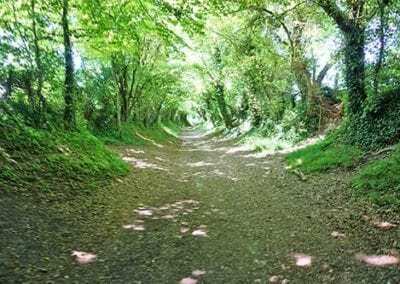 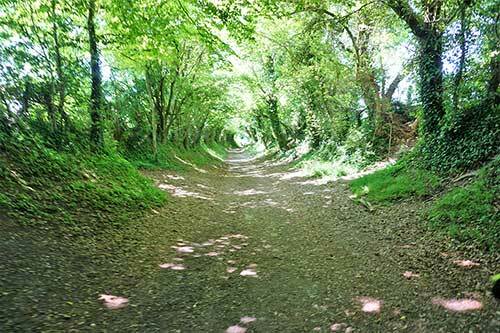 At a height of 400 feet it stands prominently on the South Downs near Chichester. 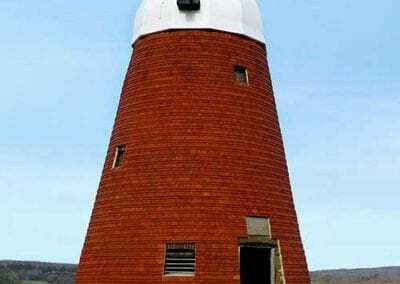 Halnaker Windmill was working until struck by lightning in 1905, damaging the sails and wind shaft. It was restored in 1934 by Neve’s, the Heathfield Millwrights as a memorial to the wife of Sir William Bird. 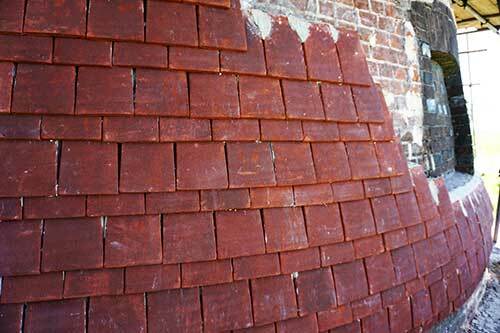 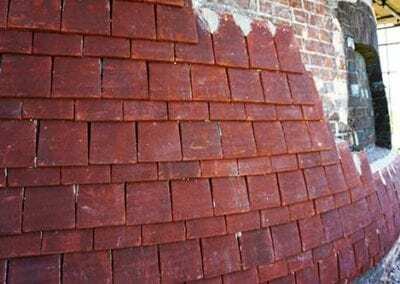 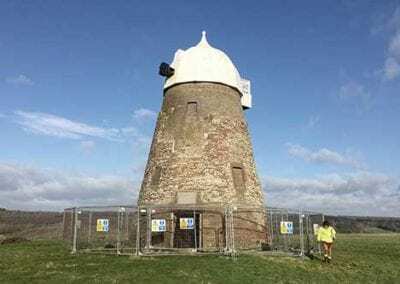 Further repair work was done in 1954 by E Hole and Sons, The Burgess Hill Millwrights. 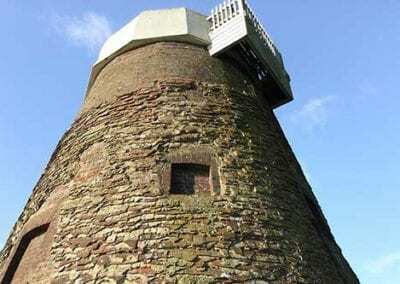 The windmill was again restored in 2004. 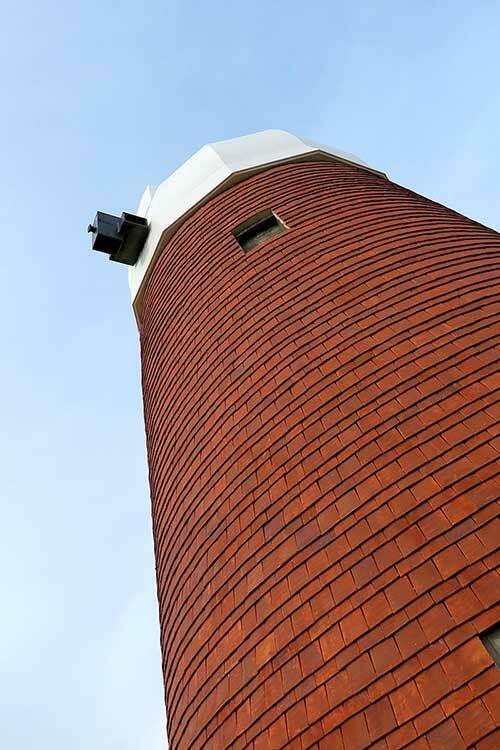 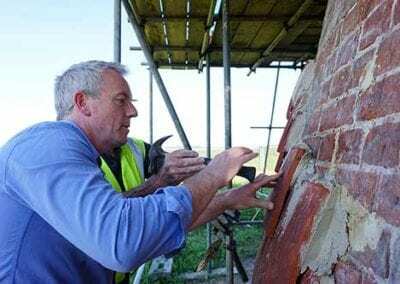 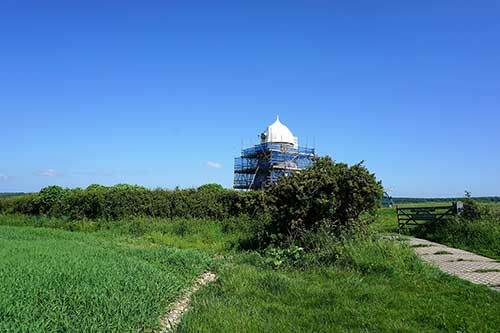 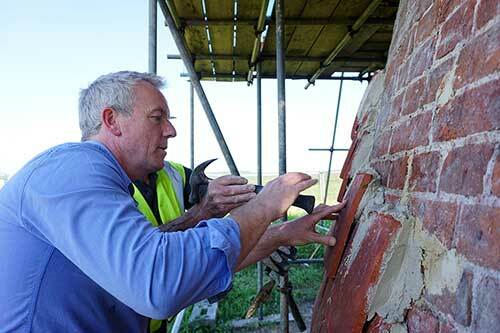 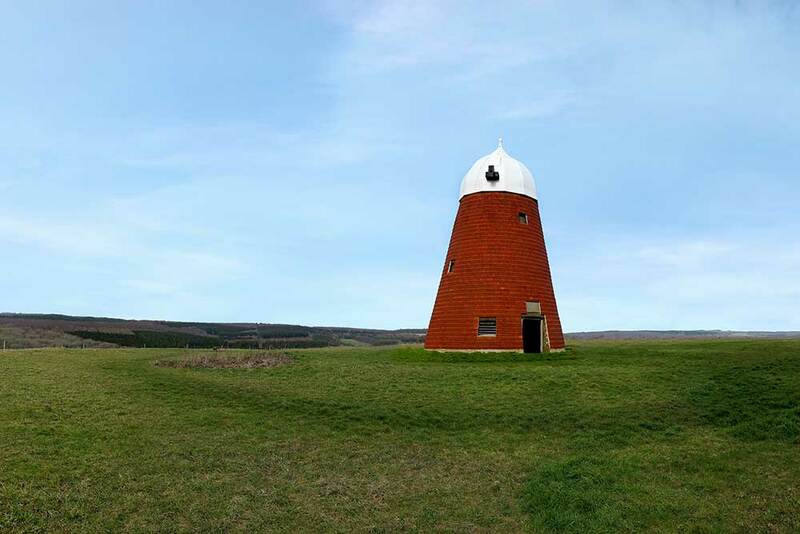 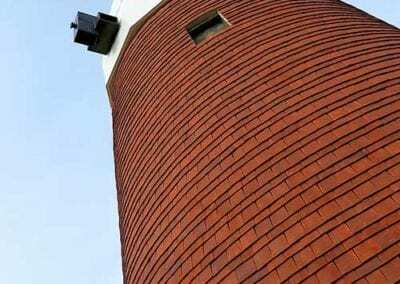 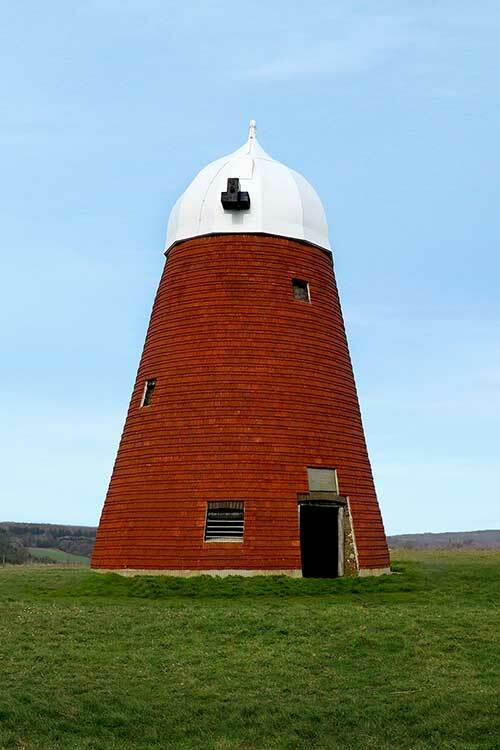 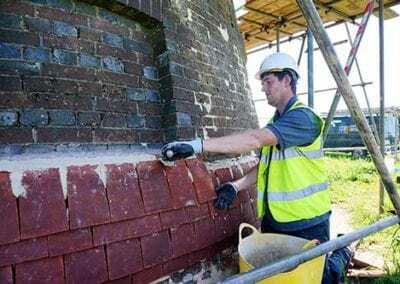 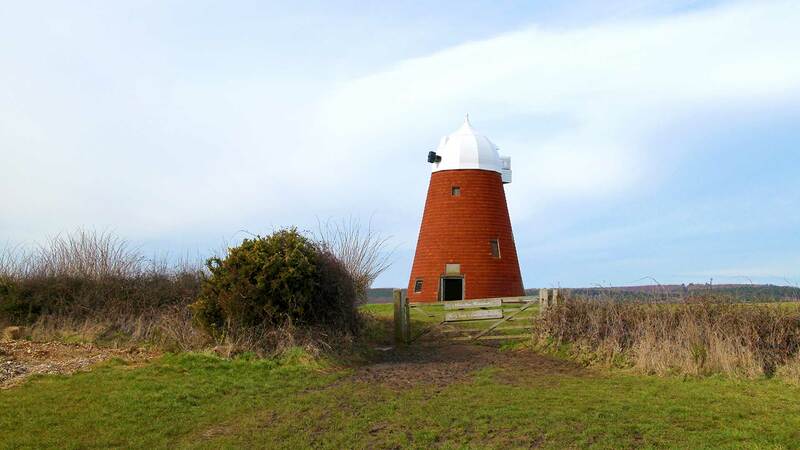 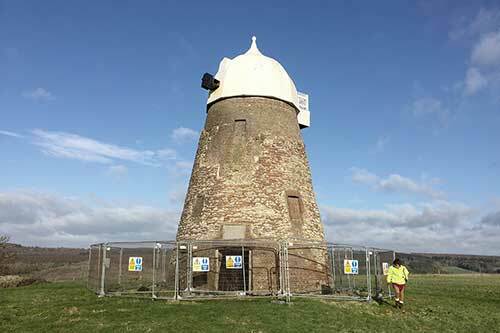 Restoration of Halnaker Windmill phase one has been completed. 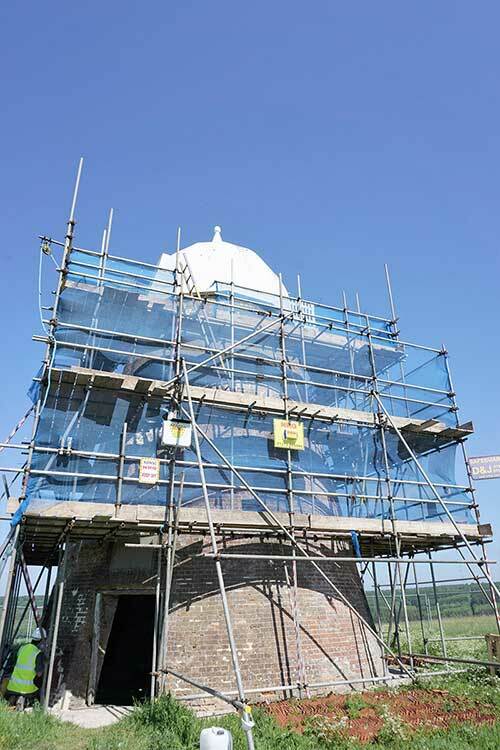 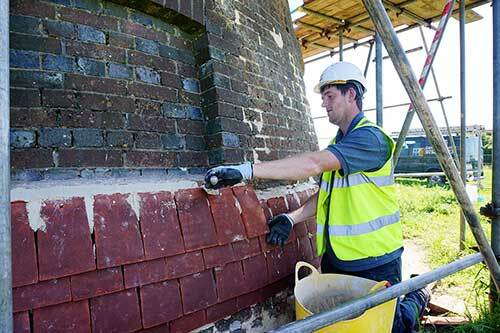 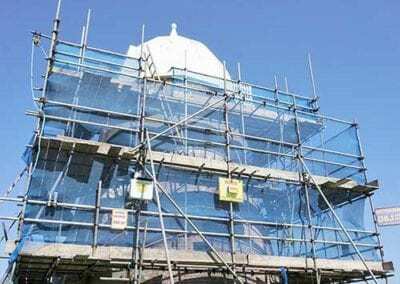 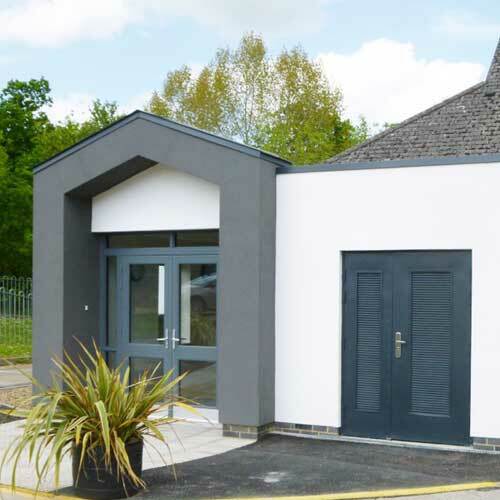 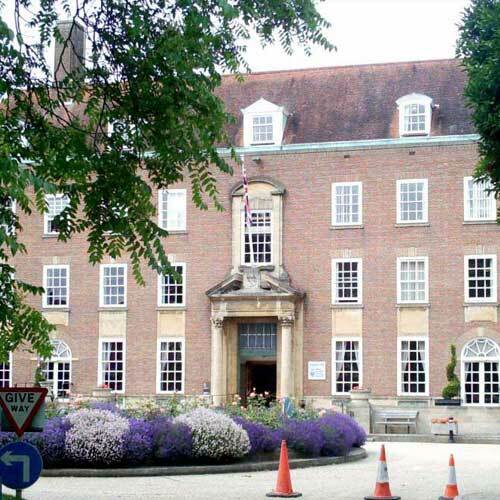 Works involved a complete tile façade and extensive repair work to the cap and balcony.